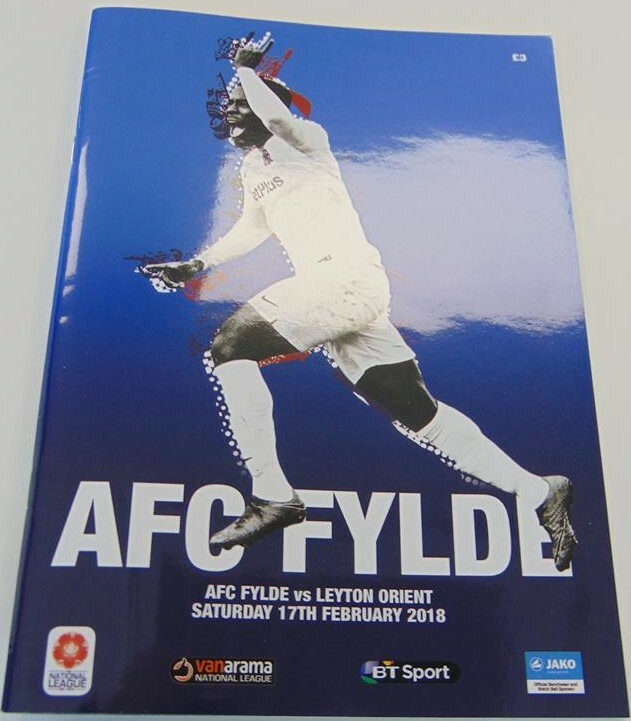 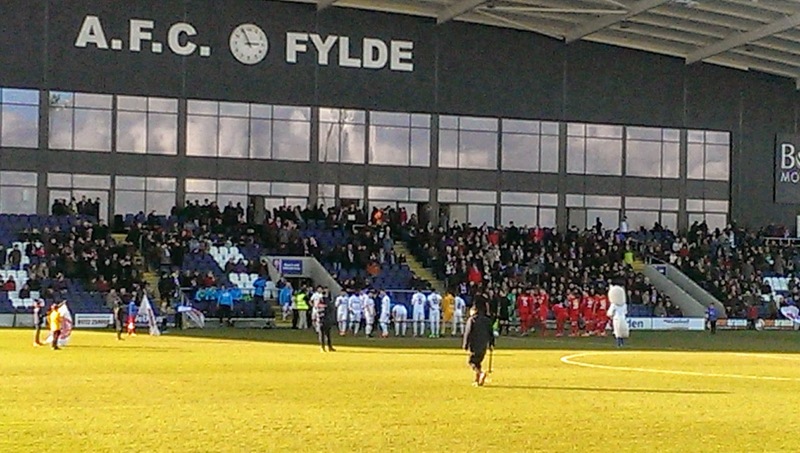 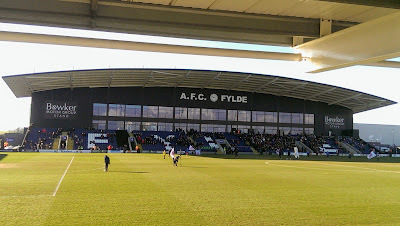 I visited AFC Fylde in March 2016 during the club’s final season at Kellamergh Park. 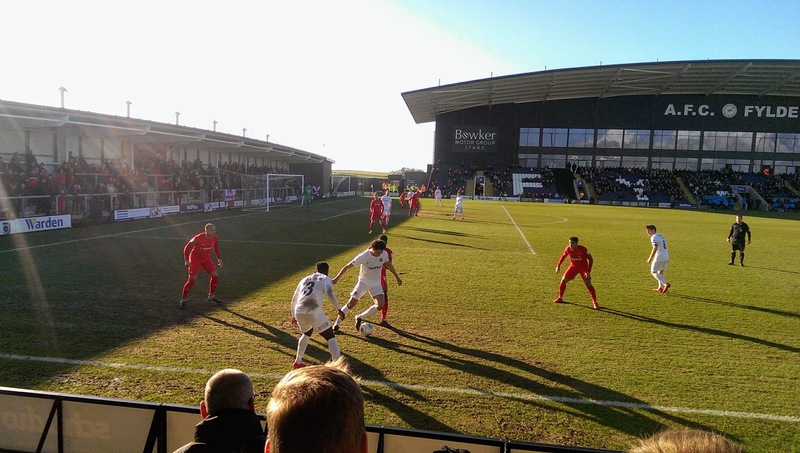 The Coasters finished third in National League North in 2015-16, losing out to North Ferriby United in the play-off final, however the ambitious club took a step nearer the Football League by comfortably winning the league title last season. You can read about my visit to their old ground, including a potted history of the club here. 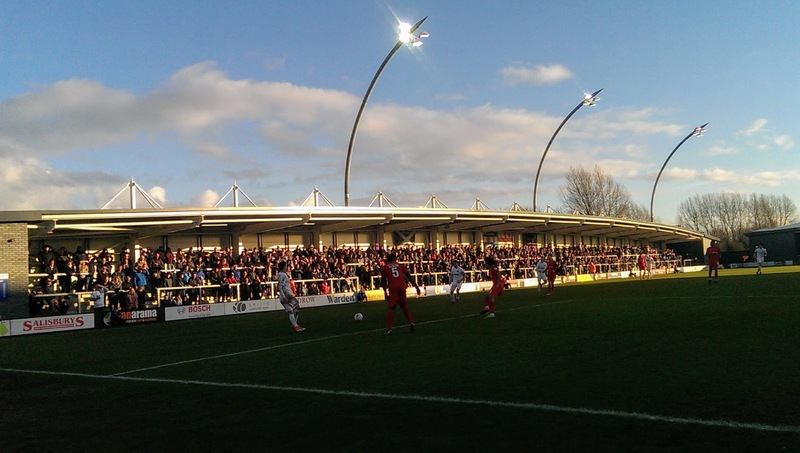 The ground is dominated by the 2,000 capacity main stand, which has seating at the front of a large corporate area. 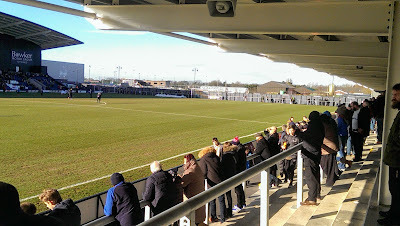 The stand has the club name on its facade with a wall clock in the middle (which by my reckoning was 3 minutes slow) with the team dugouts within the seats. 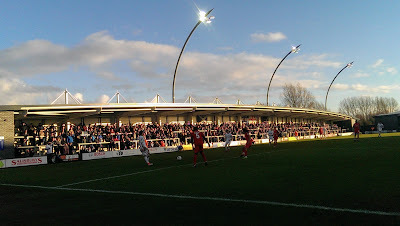 There is covered terracing opposite with runs pitch length, with further cover behind one of the goals which is giving up to away supporters. At the turnstile entrance there is open hard standing behind the goal. 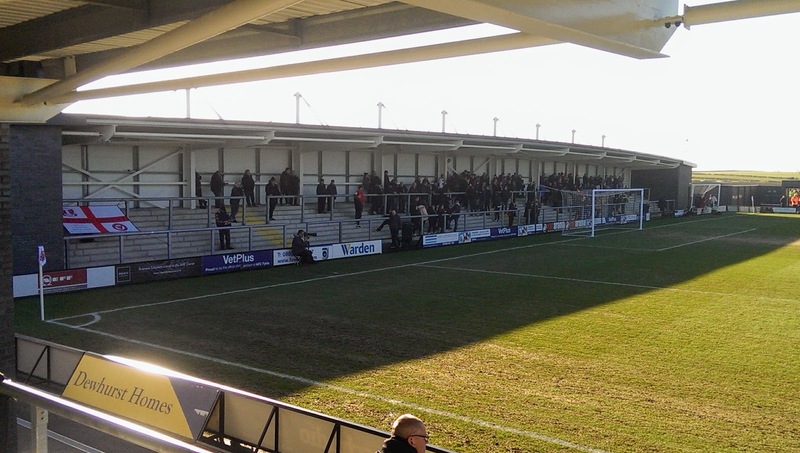 The Coasters have jumped into the play-off picture after a fabulous run of form, picking up 23 points over the last 10 games in the National League. 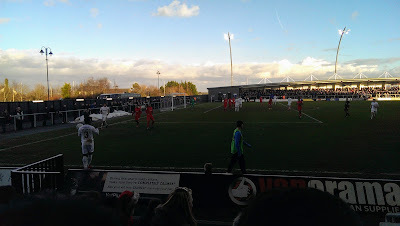 On the other hand Orient are struggling just above the relegation zone, so a much needed three points for the O’s, courtesy of a Macauley Bonne penalty just before the break. 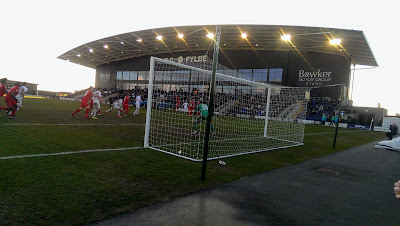 Bonne netted the spot-kick winner after Dan Holman was fouled in the box by Simon Grand. Danny Rowe and Henry Jones went close for Fylde in the second half but the visitors defended well and deserved their win to ease their relegation fears. 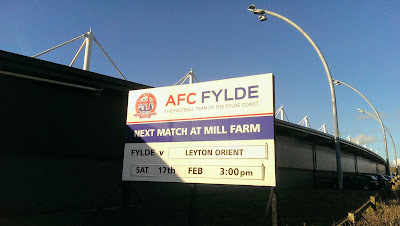 I had this fixture picked out earlier in the season. 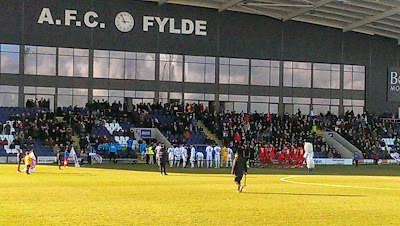 I usually tick off the Non-League elite grounds as a Gateshead supporter, but I missed out on the Heed’s visit in October as I was away in Krakow at the time. The breadknife and I originally intended to stay in Blackpool for the night, but I decided to switch to Preston instead, as it’s closer to Wesham with plenty of decent boozers to explore for one of our mega pub crawls. 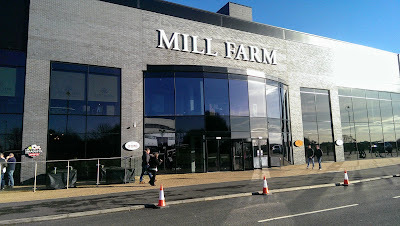 We arrived at Preston station at 11.15am, ticked off a few pubs before checking into our digs for the night. I caught the 1407 train for the short journey to Kirkham & Wesham and back in good time for our night out. We managed to have a drink in 15 pubs, including 6 GBG pubs, 2 ‘Spoons and plenty of good boozers in between, so overall an ace weekend.